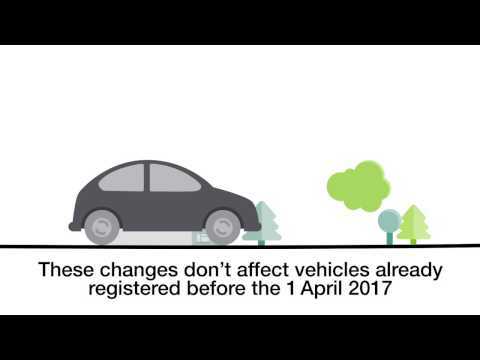 On April the first 2017 a new set of Vehicles Excise Duty (VED) or Road Tax Rules were introduced in the UK by the Government for all new vehicles. The new rules will apply to all vehicles registered from 1st April 2017 onwards and it based on the C02 per kilometre that the vehicles emits. The lower the cars emissions, the less you will pay. Only zero emission electric vehicles will remain tax free. All vehicles will pay a first year tax that we have included below. After the first year, a flat fee of £140 applies to all vehicles that are not categorised as zero emissions. In addition to this, cars with a list price of above £40,000 will be required to pay an extra £310 every year for the first 5 years. This over 40K rule also applies to Electric vehicles.